Treat yourself to a few good books. The Route Kindle sale is now on, for a limited time only, with price reductions across a range of titles. Ends MONDAY 28 JANUARY. Click here to see the full Route programme of books. 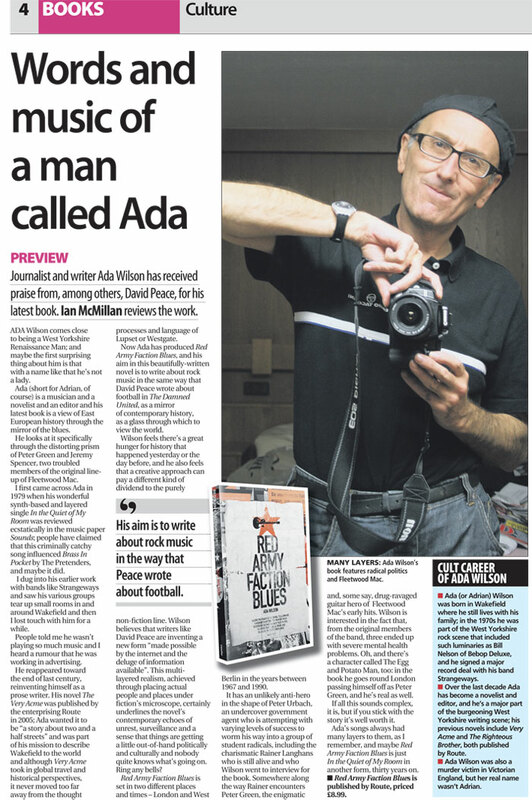 Feature in the Yorkshire Post on Ada Wilson and Red Army Faction Blues. Click here to read the review on the Yorkshire Post website.